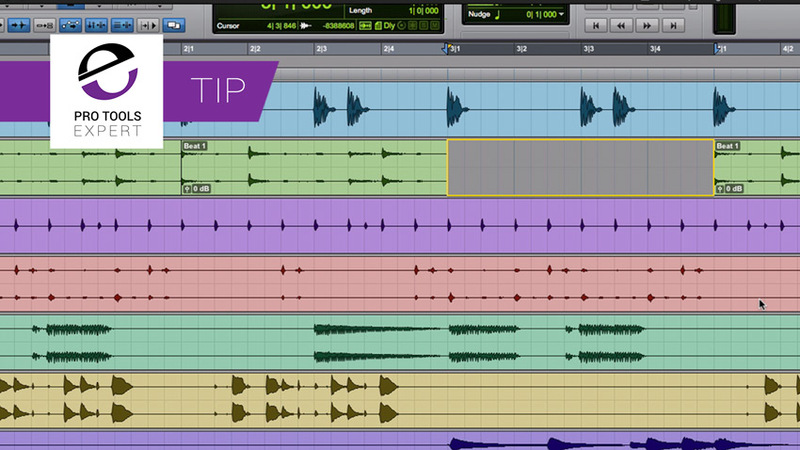 In this free tip, Pro Tools Expert team member Julian Rodgers demonstrates how to automatically timestretch clips to fit the edit selection when dragging from the clips list. This technique is only available in Pro Tools Ultimate. When using loops it is very common to work with tick based tracks and to use the TCE trimmer to bring imported clips to the session tempo. However in the context of a standard edit session this tip is useful for quickly making the clip fit the edit selection, especially in non-music settings. By dragging a clip from the clips list while holding CMD+Opt or Ctrl+Alt on a PC a yellow box appears in the edit selection and the clip will be time stretched or expanded to fit the selection. See this demonstrated in the free video below.